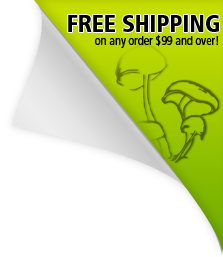 Speeds up your bulk/monotub grow. Just add casing mix! Midwest Grow Kits is excited to release our new quick-colonizing 5-grain blend. This new combination is prepared in a new type of glass jar now available in a tapered 24oz size. This new design allows the cake to simply slide out when finished. These jars have been known to colonize in as quickly as 16-21 days! After colonized, break up and mix with casing! They are growing as we speak... I can make this a long review but I won't. The jars were delivered faster than I expected. Never a bad thing. You guys reaching out also says something..... I will add this. If your new to growing like I am. Don't get frustrated. Let them be. Its not a fast process. Follow the instructions and you should be good. Only one and a half pounds. Only jars I use when I research. They colonize fast and large. I only use Midwest growkits for all my products. Has done as well as they said. So far so good. Almost ready to be put in fruiting chamber. There has been no contamination whatsoever and I was worried that somehow i would end up contaminating the jar myself and so far the jar is almost completely colonized with no other molds or anything.